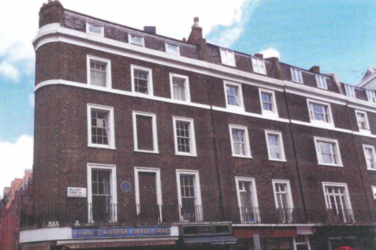 Kenwood’s have just completed works to another property with a Blue Plaque in a bustling shopping area of Central London. This particular plaque was erected as this building used to house the offices of Charles Dickens magazine ‘all the year round’, along with his own residence from 1859 until his death in 1870. Kenwood’s have carried out damp treatment to the underground vaults below the building. These works required the use of Kenwood’s specially formulated Cementicious Tanking System in order to prevent moisture ingress, a problem affecting underground areas. With our works now complete this area can be used as a suitable storage area without valuable items being damaged.